Yesterday was the third continues day of the Semay-e-Azadi’s telethon, but, the Iranian diaspora tirelessly, support Iran opposition’s TV, Simay-e-Azadi. 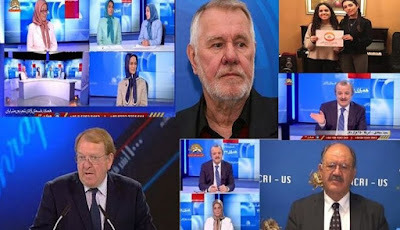 Encouraging words of MEK supporters who managed to get connected to the Semay-e-Azadi’s telethon, illustrate their aspirations for a free Iran. “I wanted to add my support for the great work which is being done by Simay-e-Azadi, which is an independent satellite TV channel that brings out news of the repression and human rights violations in Iran. This has been the main channel covering the protests and strikes that are going on all over Iran during the past year. So what Sima TV is doing is extremely important to bring out uncensored news and realities from inside Iran as it is reported by Iranian citizens. 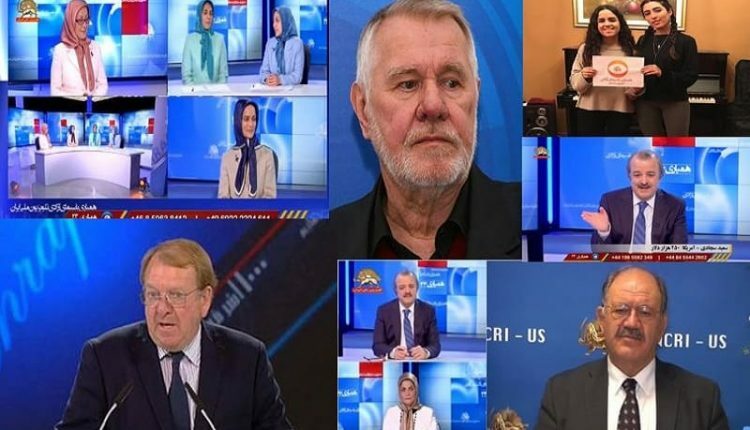 This work needs to be supported and as this is an independent new channel with no advertisement or government backing, it relies entirely on support from the viewers who like many of us in the European Parliament are longing to see a free and democratic Iran. 1/1 I wanted to add my support for the great work which is being done by Simay-e-Azadi, which is an independent satellite TV channel that brings out news of the repression and human rights violations in Iran. Indeed, the network’s supporters and viewers have a long history of funding persistently, to support its crucial mission of providing the Iranian people with information that has not been filtered through the regime’s propaganda network. So Simay-e-Azadi is the only media that truly reflects the voice of the Iranian people, Iran protests, the strikers and the oppressed. The reason for being such dedicated media is because of the financial independence that gives it the freedom to devote itself to be the voice of Iranian people. It is while that the Iranian regime has customarily been working to shut off Simay-e-Azadi in order to silence the voice of the opposition (MEK). We, therefore, must join hands and do whatever in our power to keep alight this flame of resistance by participating in Semay-e-Azadi’s telethon.